Episode 99 – Hardware Wars Raised Us & A New Trilogy Might Kill Us! This week Jason and Gabe talk all about HARDWARE WARS! YES, the amazing 1978 short film Star Wars parody from Ernie Fosselius that made them who they are today. How did it ever get made? Where is the cast nowadays? How was Hardware Wars only the beginning of Ernie’s involvement in the galaxy far far away? All these burning questions & more are answered in this laugh filled, action packed episode! Join them as they even do a full commentary for the 13 minute long classic!! Wow! AND IF THAT WASN’T ENOUGH – before all that, they talk about the BOMBSHELL of news that was the announcement that Rian Johnson is working on an all new Star Wars trilogy! When could it be set? What’s going on in it? Will we survive this massive chunk of Star Wars info? And what about a live action Star Wars TV show?!! Whew! It’s a lot of stuff in one hour so head into a bar with Augie Ben-Doggie and celebrate the love with Blast Points!! 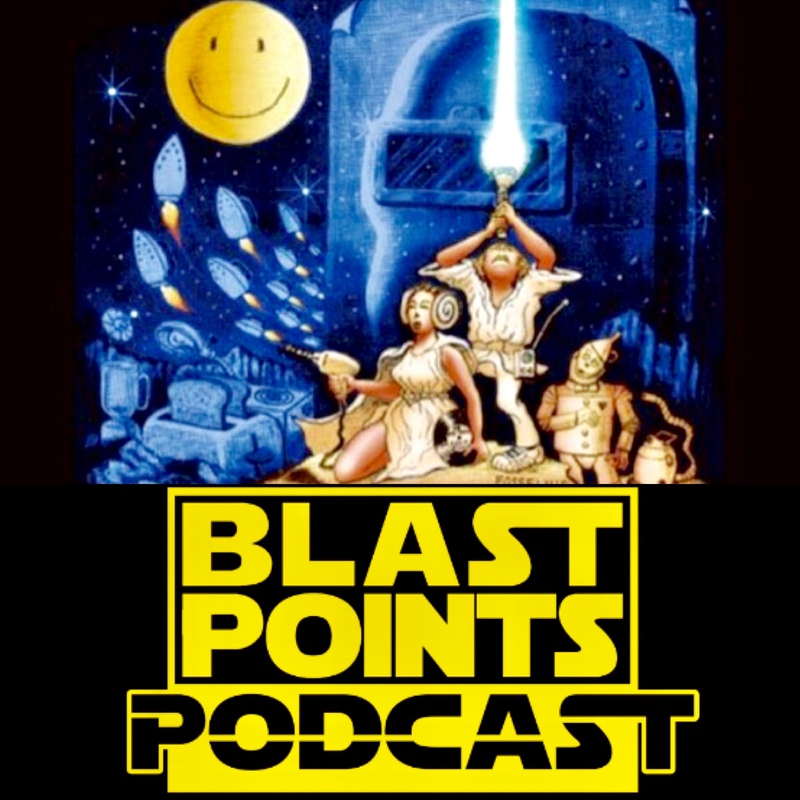 This entry was posted in Episodes and tagged hardware wars, rian johnson, the last jedi by blastpointspodcast. Bookmark the permalink.